MSW-to-Energy is the use of thermochemical and biochemical technologies to recover energy, usually in the form of electricity and steam, from urban wastes. These new technologies can reduce the volume of the original waste by 90%, depending upon composition and use of outputs. The main categories of MSW-to-energy technologies are physical technologies, which process waste to make it more useful as fuel; thermal technologies, which can yield heat, fuel oil, or syngas from both organic and inorganic wastes; and biological technologies, in which bacterial fermentation is used to digest organic wastes to yield fuel. Well-known biochemical technology for organic fraction of MSW and domestic sewage. Biological conversion of biodegradable organic materials in the absence of oxygen at mesophilic or thermophilic temperatures. Methane gas is generated which is used for heat and power generation. Can be seen as between pyrolysis and combustion (incineration) as it involves partial oxidation. Exothermic process (some heat is required to initialize and sustain the gasification process). Oxygen is added but at low amounts not sufficient for full oxidation and full combustion. Temperatures between 300 to 850oC are maintained for several seconds in the absence of oxygen. Product is char, oil and syngas composed primarily of O2, CO, CO2, CH4 and complex hydrocarbons. MSW-to-energy technologies can address a host of environmental issues, such as land use and pollution from landfills, and increasing reliance on fossil fuels. 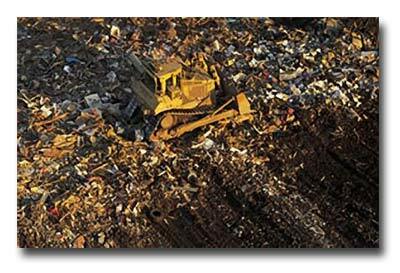 In many countries, the availability of landfill capacity has been steadily decreasing due to regulatory, planning and environmental permitting constraints. As a result, new approaches to waste management are rapidly being written into public and institutional policies at local, regional and national levels. Tagged biochemical, Combustion, EfW, Energy, MSW, MSW to energy, power, Solid Waste Management, solid wastes, Waste to Energy Systems, waste to energy technologies, Waste-to-energy, Wastes, WTE. Bookmark the permalink. I would like seek your kind Advice on Plastic and Tyre Pyrolysis.